Ecopella CD Launch – Save The World Music! 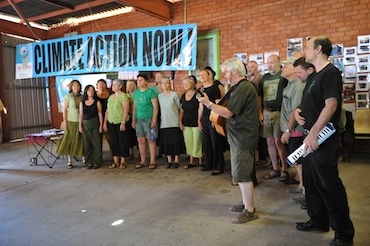 Ecopella is an environmental choir that sings about the beauty of our world and the struggle to protect it from exploitation and destruction. Ecopella’s strong environmental message encourages positive change in people's thoughts and actions and offers encouragement to a wide variety of green organisations. Ecopella originated in Sydney in 1998 and now have branches in the Blue Mountains, Illawarra, and Canberra as well. 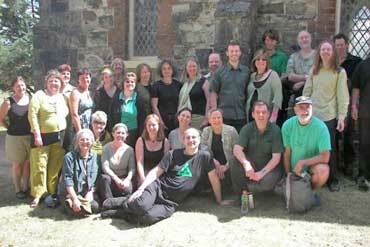 They have sung at a wide range of events, including benefit concerts, protests, campaign launches, community gatherings and folk festivals. 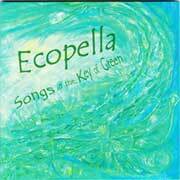 Songs in the Key of Green is Ecopella’s second CD and celebrates a decade of environmental harmony. 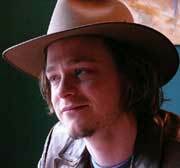 The album is a collection of beautiful and haunting songs with the occasional satirical one thrown in for good measure. The album covers a range of environmental issues. Bad governmental planning is denounced in Put It On The Ground, global warming is tragically explored in Ice Tears and the activists anthem Weary sings praise for all those fighting for the environment. The beauty of nature is evoked in All the Wild Wonders and audiences are given a few ideas of everyday ways of helping the planet in My Kyoto and Living in One World. Chris Gilespie and the Wandering Hands and Lime And Steel will give wonderful support on the day and Lis Bastian local inspirationalist, will speak and be our MC. Proceeds to: Katoomba Leura Climate Action Now group. 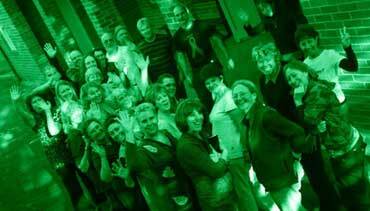 Songs in the Key of Green will be launched at the Carrington Hotel Ballroom on Sunday 8th February 1-4pm. Tickets available at the door, $10 waged, $5 unwaged.